One of the things we all love about living in East Texas is our trees! Trees grow strong because they are rooted and grounded deep into the soil. A tree needs to be rooted to receive the moisture and nutrients it requires to grow strong. A tree also needs to be grounded deep into the soil so it will be established even in the midst of wind and weather. 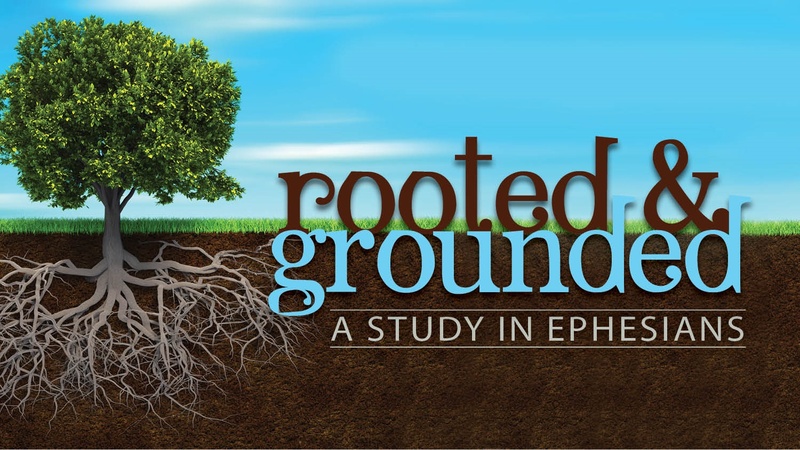 In the book of Ephesians, Paul teaches us how to be rooted and grounded in Jesus Christ so we may experience the power of the Spirit who raised Christ from the dead. This power creates a unified (though not uniform!) humanity who lives out what it means to be the kingdom of God on earth. Are you longing to show the world the hope of the gospel? To access the strength and stability of Father, Son and Spirit? Join us in Ephesians. Previous Sermon Series - see below. Also go to our Sermon Page to listen to these sermons. What Do I Know? Tested by John. 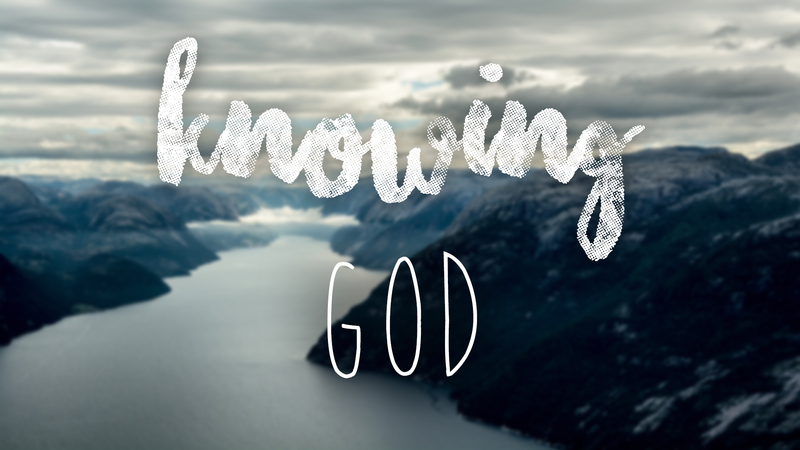 How can I be sure I really know Jesus personally? What does a life look like when Jesus is in control? It is easy to attend worship services and get involved in the programs of the church and never actually know Christ personally. This is a dangerous place to be—doing church without being Christ’s. This is why the questions above are so pertinent today, we are always asking them but we rarely talk about them out loud. This Fall we will be studying together the book of 1 John and Pastor John has no problem helping us to answer these questions! The book is written to a group of Christians who have an opposing message challenging their faith. John helps his readers to find understanding and assurance as he asks them (and us) to consider three vital questions of his own: What do you believe? How are you living? How are you loving? These are questions he tests his readers with repeatedly throughout this letter. They are important questions for us to keep asking as we seek to know Christ and find assurance in our lives today. Summer is a time between. It takes place between Memorial Day and Labor Day. We are out of school. We are on vacation. We are traveling. A lot happens during this "between" time and a lot happens in the in between of all of our lives: Between now and then, between here and there, between what is and what is yet to be, between you and me. “Between” includes a transition, it involves a journey, it requires understanding as we try to connect the dots; and it’s important for us to recognize what is going on in the “between” since we live much of our lives within it. How we wish we knew it all. However, since today we can bring almost any information right to our phone from seemingly anywhere in the world, we think we do know it all. If not, we can certainly find it all out! There is something else at work, however. Especially when it comes to navigating a life that has not gone the way we envisioned it.. We are often looking in the wrong places for it and yet it is available each day: it is spiritual wisdom. He has revealed it in His Word. For there is a way of living revealed in who God is and what he is doing in our world that orients our hearts and focuses our minds for how life was meant to be lived. 1) There is no “one, perfect way” to worship. Jesus bids us to come and worship him just as we are. This is because it is Jesus, not us, who perfects our services to be holy and pleasing to God. Every human expression, no matter how excellent, is fallible and partial to our own experiences. The blended worship style remembers it is not our musical tastes that we worship, but Jesus, who perfects human endeavors to come and have fellowship with him and each other. 2) The love of God compels us to seek unity. From the very beginning churches were divided over culture. We see this in Acts 6 where Luke records that Hellenistic Jews and Hebraic Jews vied for priority within the local church. We also see this in the book of Galatians, where Paul rebuked Judaizers for trying to convert Gentile believers into the norm of Jewish culture, not to the gospel of Jesus. Differing opinions are not new. From the 1st century onward, Christians had to, in faith, come to terms with those who have different cultural takes on things. This is precisely why Jesus prayed that our oneness with each other will be like that of Him and the Father (John 17:21). It is the will of our Lord Jesus that Christians seek unity through the gospel, in spite of our personal differences. This is especially true in how we worship. Blended services aim to draw us closer to that unity. 3) 3) Moments of discomfort cause us to stretch in our ability to love God and others. Jesus said “A new command I give you: Love one another.” (John 14:34). One cannot help but have preferences in worship styles (this is normal to the human experience and not a bad thing in itself). However, we must make room for, and also grow in, our ability to love and value those who don’t think, act, live, or worship just like us. A blended service provides each of us with the opportunity to practice this kind of love.